As we say goodbye to winter (sometime soon, we hope! ), I want to recognize several exciting things that have happened in the past few weeks and what we are looking forward to as we welcome spring. In March, we were excited to participate in the announcement of the extended contract between the WIAA and UW-Madison Athletics to continue to host our state’s annual high school boys basketball and football, girls and boys golf, individual and team wrestling and girls softball championship tournaments in Madison through 2025. This agreement celebrates the great collaboration between the WIAA and UW as well as the support the GMCVB, MASC, the City of Madison, our industry partners—and our community—provide to WIAA staff, fans and athletes. These tournaments are a part of Madison’s DNA and we are thrilled to know they will remain here for the foreseeable future. Another milestone reached in March was the staging of our first Industry Insider Training. This event was our second foray into Destination Training for industry employees. 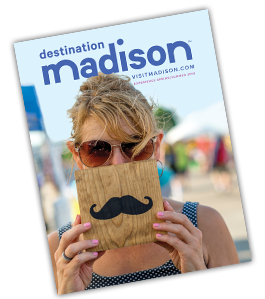 Over 100 industry employees participated in the sessions that took a “deep dive” into all that greater Madison has to offer visitors. Our goal with this program, combined with our Destination Training module within Madison College’s hospitality Leadership Training program, is to equip frontline industry employees with the resources to answer guests’ questions when seeking information about what to do during their visit. We have received rave reviews and also suggestions on how to enhance the program. We are already working on how to refine and grow this program. This month, our convention sales team helped lead an important presentation on our destination—and our Three Cities Alliance partners, Providence and Albuquerque—to FASEB (Federation of American Societies of Experimental Biology) in Bethesda, MD. This prestigious consortium of scientific societies has great promise for future conventions. The presentation featured our own “Song” about our Three Cities and was well-received! At the same time as our presentation, we participated in a multi-city client event in Washington DC. These collaborative sales opportunities are key to building relationships with targeted convention prospects. As we look to warmer months, we are in the final stages of preparing for the first “special event” we have staged in decades, Bucky on Parade! As part of our commitment to one of our Destination Visioning objectives of creating a bold, destination “Event Mix”, this summer-long event, featuring 85 lifesize, artist-designed Bucky Badger statues, we believe will create lasting memories for visitors and residents alike. Watch for the unveiling on Monday, May 7th, throughout Dane County. After seeing them, we are sure you will agree, You’ve Never Seen Bucky Like This Before! The GMCVB and MASC staff teams and boards are hard at work on your behalf. And, we are honored to represent this magical destination—and you and your business. Holy Wisdom Monastery is a retreat and unique meeting venue that has been in existence for 65 years. It features 130 acres of restored prairie to walk, a glacial lake, apple orchards and more. What kind of meetings are usually held at Holy Wisdom Monastery? The types of groups that meet at Holy Wisdom Monastery are wide-ranging. Many are non-profit, but we also have business groups that chose our facility for a variety of meeting rooms, peaceful location, scenery, on-site chef-prepared meals using hyper-local ingredients, etc. Some groups are here just to meet for the day while other groups also utilize our overnight accommodations for multi-day corporate retreats. Tell us about the space and overnight options you have available. We have overnight space for 30 individuals and meeting space for up to 300 people and can set up meeting rooms to each group&apos;s specifications. All of our larger meeting spaces come with expansive views of Lake Mendota, Lost Lake or our prairie and woods. We also offer a variety of smaller breakout rooms offerings groups maximum flexibility. What is the best compliment or review you&apos;ve received from a patron? "Our [group] used the retreat facility for our Writing, Art & Mindfulness Retreat in November & the whole experience was absolutely perfect! The rooms were comfortable & cozy, the food prepared by the chef was amazing & the event rooms had everything we needed. To top it all off, it was the perfect setting with beautiful views, walking trails & a warm & welcoming atmosphere. Will definitely be using their facilities for future retreats!" What is something most may not know about you? We are open to all types of groups, not just religious. 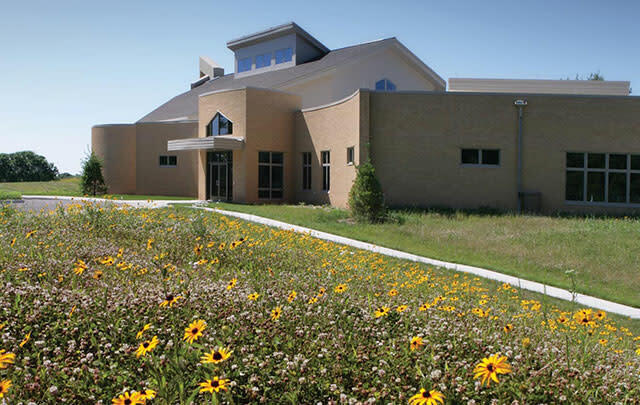 We are located minutes from Madison but our beautiful award-winning LEED platinum certified facility, surrounded by 130 acres of prairie, woods and lakes, feels a world away. In addition to group retreats and meeting, we are also a popular personal retreat destination. In fact, we were recently featured in The Washington Post and The Chicago Tribune. Lastly, we host weddings, family reunions, memorial services and Sunday Assembly every Sunday morning. We strive to be engaged members of our community and GMCVB helps with this. Additionally, the GMCVB offers increased exposure, trainings and networking opportunities. Anything else you&apos;d like our readers to know? We&apos;ve been open to all for 65 years. In those 65 years, we&apos;ve had a dedication to people and to the land. We&apos;ve been recognized as having the most eco-friendly building in the country and created an internationally awarded land conservation program. We&apos;ve hosted environmental and spiritual leaders from around the world including the Dalai Lama and offer environmental programs and volunteer opportunities to the public. Holy Wisdom Monastery is located at 4200 County Rd. M in Middleton. Celebrations provides professional DJs and emcees, photo booths, casino entertainment, huge inflatable outdoor movie screens, karaoke, trivia, event planning and consulting. 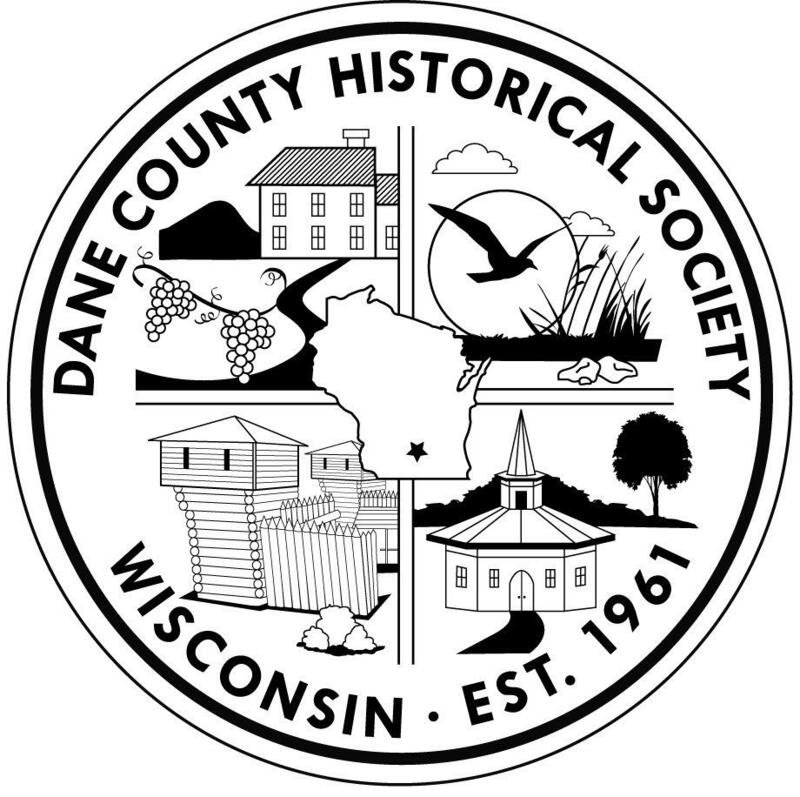 Proudly promoting an awareness of Dane County&apos;s rich heritage through our special events, programs, and publications. Learn more and explore the 47 historical markers around the county! This modern, sophisticated wedding and event venue is the perfect setting for your one-of-a-kind wedding or event. Large or small, elegant or casual, indoor or outdoor, our venue will transform itself into the perfect space to accommodate your needs.